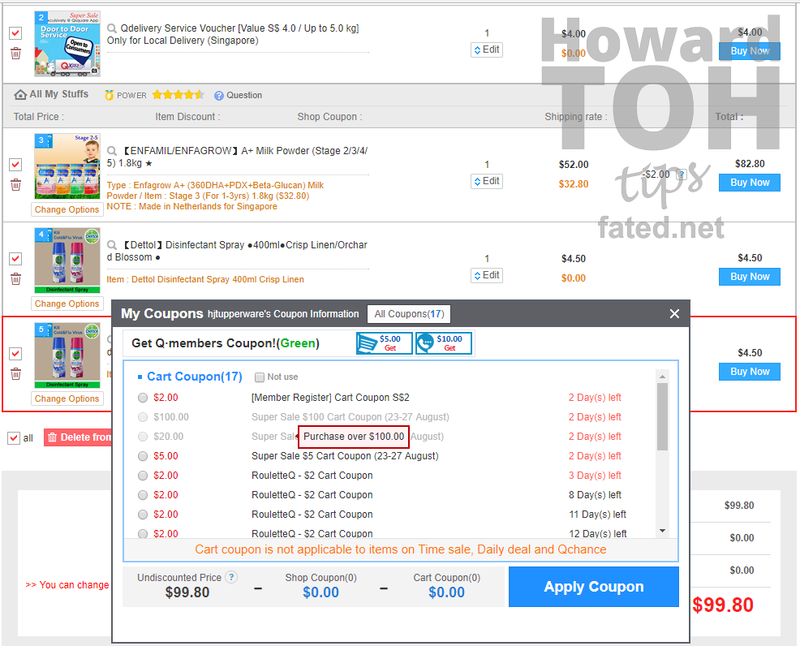 Qoo10 has been giving out cart coupons every other day and I really enjoy using them to buy diapers, milk powder and other household items. There’s just one small problem. Sometimes I’m just short of 20 cents to hit the minimum cart amount. I definitely do not want to buy another tin of milk powder just to fulfill the 20 cents. Sometimes it could be 10 cents, 25 cents, 99 cents short, it doesn’t matter. 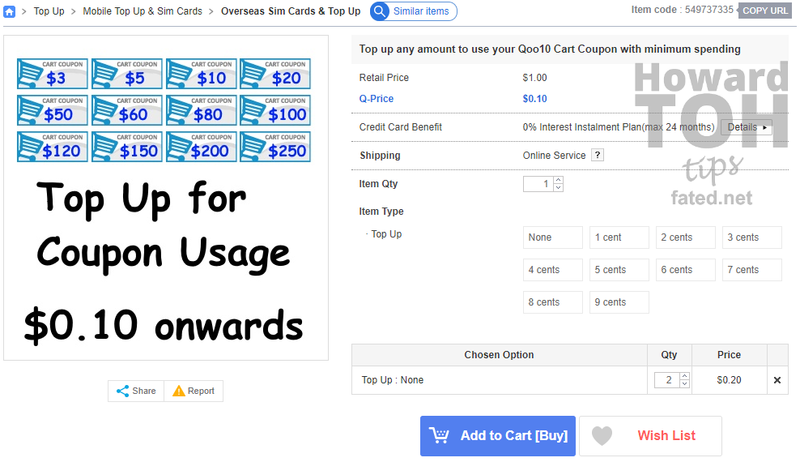 All you have to do is to use a “Coupon Top Up” service. 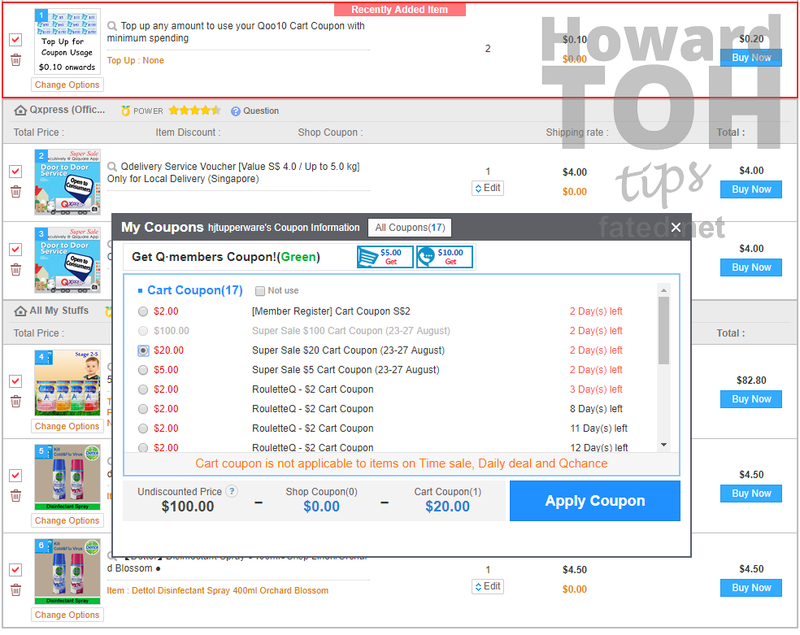 This coupon top up service allows you to add a dummy item to cart at whatever cost you want (minimum 10 cents). You will not get anything from them but you WILL be able to then easily proceed with your order quickly. As you can see, I was short of 20 cents to be eligible to use the $20 coupon! With this special “fake item”, I was able to choose to add 20 cents to my cart total. The base amount is 10 cents so just add 2 of the item with option “None” (No top up). If you need 25 cents, simply add 1 item with None as option and another item with 5 cents option to give you a total of 25 cents. With this, it just costs me 20 cents to enable to use of my $20 coupon. The kids keep falling sick because Emma is now in full day childcare where she gets exposed to other children who are sick in the centre. Instead of whining about parents allowing their kids to childcare sick (which is partially understandable because our work culture doesn’t allow working adults sufficient flexibility to juggle a job and stay home to look after a sick child), we decided to purchase the Sambucol Black Elderberry Syrup from iHerb. Since many parents swore by this product’s effectiveness in reducing sick days in children, we thought of giving it a shot. There are many local retailers or marketplaces selling Sambucol products such as Lazada but since this product has a expiry date, I decided to get it from iHerb since they move their products really fast and I’ve trusted them as our kids’ supplier of probiotics and multivitamins. Best of all, 4 bottles of this qualifies you for 5% discount, free shipping to Singapore, 5% rebate as store credits and the price is the cheapest I’ve found so far! Saumbucol, the original Black Elderberry extract, provides strong immune system support to help you and your family stay healthy throughout the year. 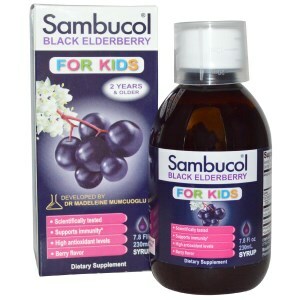 Sambucol Black Elderberry extract conveniently arms you with some of the best protection natural has to offer. Quality. Safety. Reliability. The PharmaCare name guarantees that this product is produced using the highest manufacturing standards, and PharmaCare stands behind every bottle of Sambucol that your purchase. Satisfaction Guaranteed.